Our 6x8 Basketball Wreath Award Plaques are the perfect remembrance of achievement for your coach or team! 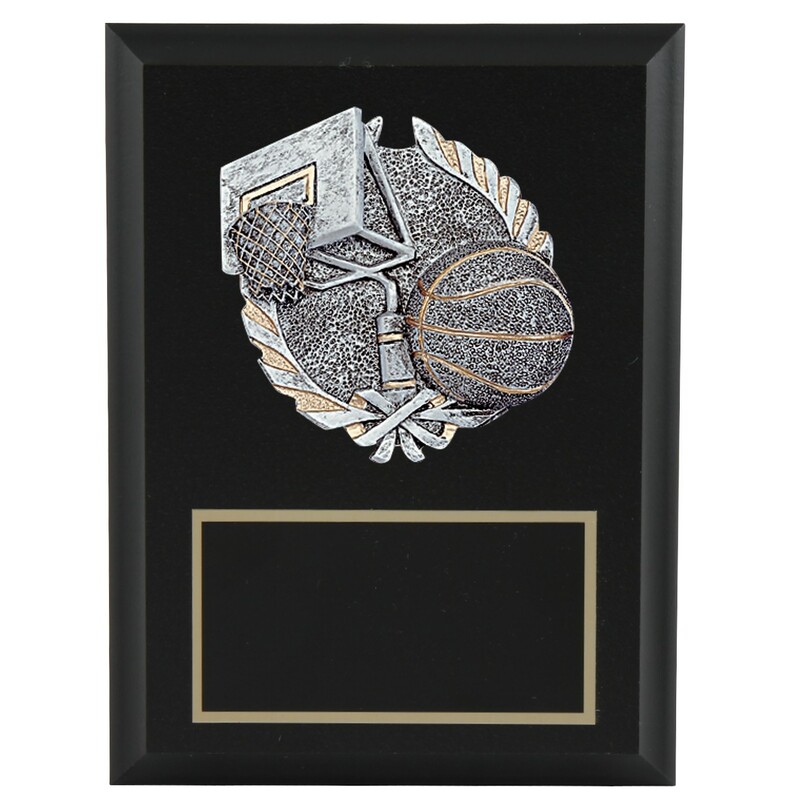 These handsome and artful black plaques feature a raised gold and silver ball and hoop with a wreath background. Below is a black brass plate with your custom engraving.